This holiday season everyone seems to be looking for out-of-the-ordinary and unique gifts that can’t be found in the department store across town. Buying online aids in this quest by saving time and effort and can often be the only available avenue to find the perfect present for your friends and family. 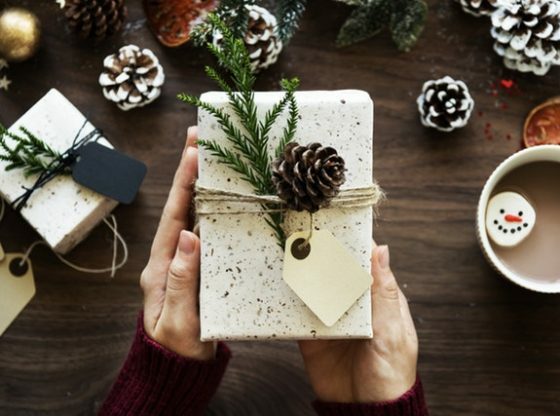 Sitejabber’s editorial staff has compiled their list of the top 12 sites to find the most creative and exclusive gifts this holiday shopping season. You can also order confidently from any business on this list, as all were also 2017 Sitejabber Customer Choice Award Winners. Blue Apron (reviews) – Do you know someone who enjoys cooking but doesn’t have the time to plan meals ahead and shop for the right ingredients? A subscription for a few weeks of Blue Apron’s meal delivery service will give them all of the things needed for cooking great new recipes with none of the planning or shopping time. If you have a foodie on your list who would enjoy this, see our full article online meal delivery services here: What’s for Dinner? The Ins and Outs of Meal Kit Delivery Services. Casper (reviews) – The gift of a great night’s sleep in a brand new bed may seem like an outrageous idea for a Christmas gift, but now with the proliferation of online mattress companies, you can get a brand new queen mattress for around $600, delivered straight to your (or your recipient’s) door. “Ordering was straightforward and really easy to understand. Their 100-night trial program is what sold it for me, though this mattress is exceptionally comfortable so I don’t think I will be taking them up on that offer.” – Richard Y Here’s our guide to avoiding common issues when shopping for a mattress online: Top 5 Tips to Avoid a Nightmare When Buying a Mattress Online. The Honest Company (reviews) – If you’re shopping for new parents this holiday season, one of the best sites to find them a gift is The Honest Company. Jessica Alba, a celebrity mother, wanted to create a company that featured safe and effective products. “Purchasing an Honest Company gift certificate is a great idea for an expecting mother. The Honest Co. offers a wide array of natural products. I was very satisfied and so was the expecting mother.“ – E W For more reviews of businesses in the baby category, see the Best Baby Site of 2017. Udemy (reviews) – The gift of knowledge is something that everyone will enjoy. Udemy is a website that offers online classes on nearly every subject imaginable from crockpot cooking to learning new languages. The prices for the classes are also very reasonable. Udemy may be more well known for helping coders and business owners learn about marketing and social media, but they have many classes that even your 70-year-old grandmother would enjoy. We hope these suggestions spark some gift ideas and that your holiday shopping goes as smoothly as possible!